Please join us for our first Prelicense Event of the year featuring a presentation from Cathy Atkins from CAMFT. Learn about the Road to Licensure: Part 1 and gain valuable information to help you navigate your way to becoming licensed. If you have important questions regarding the new exam or licensing requirements come to this presentation to learn more. Cathy Atkins has been with CAMFT since July 2006. She started with CAMFT as a Staff Attorney, but was promoted to Deputy Executive Director in 2009. 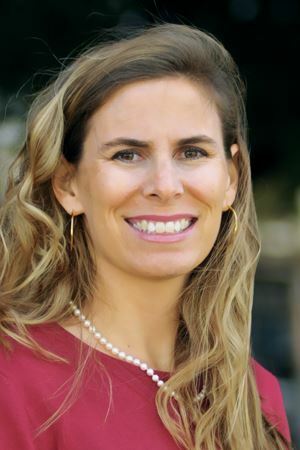 Cathy was born in Seal Beach, California and has spent most of her life along the California coast, except for some time in Washington, D.C. Cathy received her B.A. from the University of California, Santa Barbara in 1994, and graduated from the University of San Diego, School of Law in 2000. Cathy passed the California bar examination in July 2000 on her first try. Before joining CAMFT, Cathy was a litigator in both civil and criminal litigation. Cathy's main role at CAMFT is to represent the organization in the Executive Director's absence. While Cathy's focus is on legislative and regulatory matters, she also provides road-to-licensure, L & E, and legislative update presentations to schools and chapters. Like all the attorneys, Cathy also provides legal, ethical and business guidance to CAMFT members. Cathy's favorite thing to do outside of work is to spend the day at the beach with her husband and children, or go wine tasting with her girlfriends.